For those of you who grew up in American households, you likely engaged in the yearly ritual of Thanksgiving. This generally entails several days of shopping, cooking, visiting, stuffing yourself beyond capacity and, quite possibly, watching football. Oh, and there’s often a ritual where family and friends go around the table and name what they’re thankful for. In my experience, this is likely to be a small part of the festivities, done much of the time in a perfunctory manner and as a teaching tool to the children at the table about giving thanks. But how often is this ritual of giving thanks revisited throughout the year and practiced with our families, our communities and our organizations? From my observation, not nearly enough. Scientists have now found clear evidence that giving thanks, which I will here call “gratitude,” yields positive results for our health, relationships, and teams. Dr. Robert Emmons, professor of the University of California Davis and the author of “Thanks,” is the leading researcher on the science of gratitude. He and other scientists found in a number of studies that acts of gratitude yield measurable positive results. In one study, individuals who were asked to consciously focus on expressing their gratitude to themselves and others over a period of weeks reported fewer health complaints, slept better and spent more time exercising. Researchers at the Wharton School at the University of Pennsylvania studied a group of university fund-raisers. Not surprisingly, they found that those employees whose managers thanked them for their contributions made 50% more fund-raising calls than employees who were not thanked. Recently, I had the privilege of facilitating a team of leaders who needed to create more alignment across their business. The organization was under financial pressure, and each participant seemed more focused on the needs and goals of their domain rather than looking toward the greater organizational good. They often failed to understand how their actions affected the domains of others; resentment and infighting had broken out. I began the meeting with an exercise I learned from my colleague Tom Akins. After we clarified the hoped-for results, I asked each participant to begin by expressing appreciation to someone in the room. After some initial squirming, one brave soul turned to a colleague and thanked him for always responding quickly to her requests. One continued by complimenting the kindness of another. Sharing became progressively easier; you could sense the room beginning to relax, and people began to smile. We were off to a good start. This simple exercise in no way negated the difficult problems the team had to solve. However, these simple expressions of gratitude set the tone for listening and cooperation, rather than defensiveness and contention. Here’s a simple exercise that you can do for five minutes each day to increase your gratitude muscle. Each night, think of three good things that happened during that day. They don’t have to be big ones. It may have been an accomplishment, a step forward, something positive that you notice about yourself or another, or even a small thing that you enjoyed. Write them down in a notebook; many do this before bedtime to create a stable time and place to solidify the ritual. That’s all! If you want to supercharge the exercise, take a moment to remember and savor one of those moments. Sound too simple to be true? It isn’t. I’ve used it not only myself but with a number of my executive coaching clients. They’ve reported less stress and worry, more positive outlook even in challenging situations, better connection and collaboration with colleagues and more focus and execution on their most important results. Is it worth five minutes a day to increase your positivity, resilience and perhaps your health? All this in less time than it takes to eat a second helping of that Thanksgiving turkey. So don’t let thankfulness and gratitude be a once a year ritual. Practice it daily — at least try it for six weeks. You’ll be glad you did. 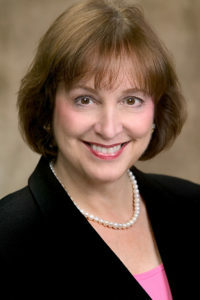 Dr. Patricia Wheeler is Managing Partner of The Levin Group, a global leadership advisory firm. With more than 25 years of coaching and consulting experience, she works with leaders around the world who must innovate and deliver exceptional business results within an environment of rapid change and increasing complexity. She is a contributor to Best Practices in Organizational Development, the AMA Handbook of Leadership and Coaching For Leadership: Third Edition. She is the author of the FastForward Program, helping leaders gain maximum traction and success in new roles. Click here to learn more about Patricia. Patricia Wheeler and Marshall Goldsmith publish Leading News, a leadership resource featuring articles and podcasts. Visit subscribe@LeadingNews.org to have issues delivered to your inbox. Copyright 2017, Patricia Wheeler Ph.D.
Tran-si-tion (n.) The process or a period of changing from one state or condition to another Are You Grateful for Change?